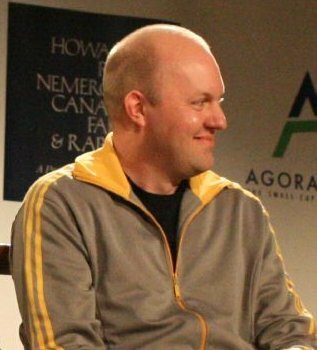 English: Co-founder of Netscape Communications Corporation, Marc Andreessen at the Tech Crunch40 conference. This image was originally posted to Flickr by b_d_solis at https://www.flickr.com/photos/50698336@N00/1403028744. It was reviewed on 22 July 2008 by FlickreviewR and was confirmed to be licensed under the terms of the cc-by-2.0.